This cabin/home is Green and Passive Solar. VERY well built with 2 extruded styrene r-10 below basement slab, up to R-50 poly steel insulated concrete form basement walls, r-19 cellulose, r-7.5 styrene frame walls, and r-38 blown cellulose reflective foil ceiling insulation. That means the owner's utility bill is $300-$400 a year for heating costs for a full-time resident and $15-$30/month for electricity for a full-time resident. HOA fees and water company will be additional. You can leave it empty for a week in the winter time and come home to 60 degrees in the home with NO Heater on. The moon & stars are your skylights! Passive solar maximizes the south-facing windows, minimize other glass, Low-E argon filled windows, tromble wall/basement floor thermal mass heat storage, removable winter insulation for non-south facing glass, fiber cement siding, wired for electric shutter on front south windows, air movement systems to circulate heat gain (ceiling fans and duct/inline fan systems). Then you have a fabulous view of the Mountains and Valley with a private fishing pond in the common area. 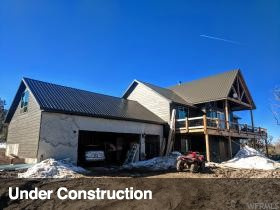 Year Round living (roads are plowed in the winter time) in the mountains above Spring City about an hour south of Provo and 15 minutes from Mt Pleasant where there is a grocery and hardware store, a hospital, restaurants, drive-in theater and other small town amenities. The home is located in a very quiet section in a cul-de-sac. The 2 bedrooms and 2 full bathrooms in the basement need to be finished. Most of the materials are already there to be used in the completion. A second entrance to the property from a different road would allow RV parking or to place storage sheds. 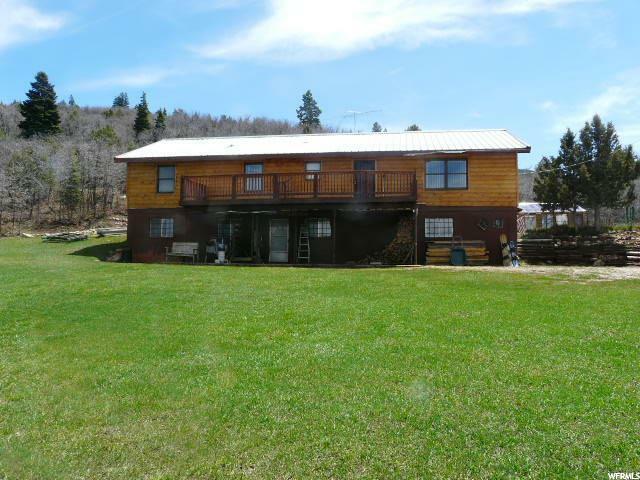 Close to the National Forest and Skyline Drive Trail System. No trailering to ride your ATV up to Skyline Drive. MLS Map is correct. Google Map/Earth is 39.486287, -111.421065 Elevation is 6,887'. Buyer to verify all information.